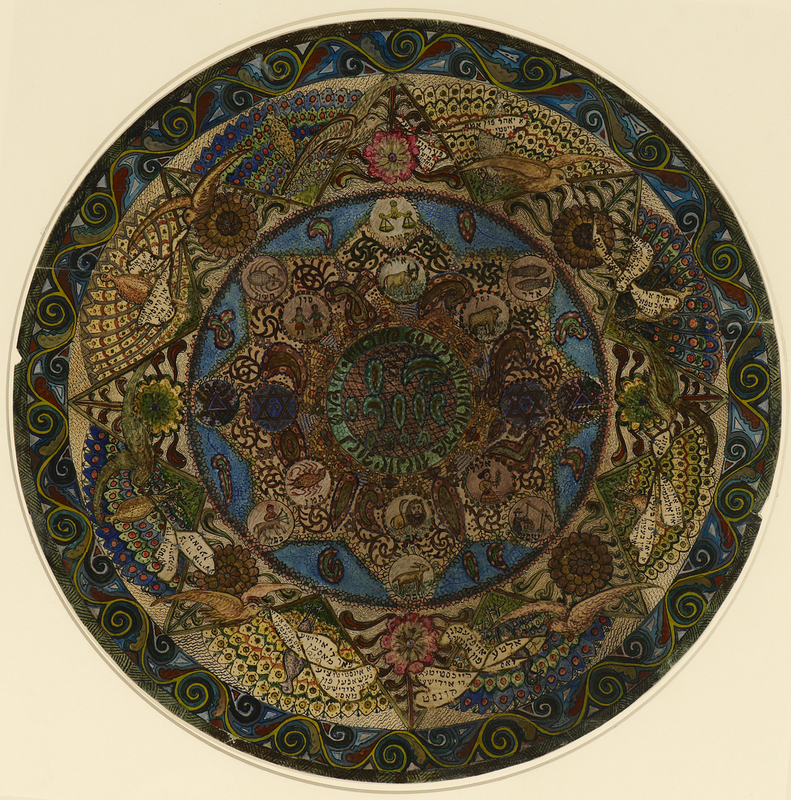 This beautiful, intricate design executed in pen and coloured inks incorporates flowers, birds and animals with signs of the zodiac and Yiddish lettering marked Ben Uri's progress one year on. It may even have been a collaboration with Dovod Simkovitz, who presented it to the Ben Uri Collection in the year of its creation. It reveals the precision and pattern-making that characterised Berson's style, which was probably influenced by the Machmadim (Precious Ones), a textless Jewish art journal produced in Paris in 1912 by Isaac Lichtenstein and others. The circular design is one of a number of fine designs produced specifically to mark the birth of the Ben Uri.